Looking to take your game to the next level or are you just starting the game? Either way, we offer programs all year that will help you develop into a more complete lacrosse player. Maineiax takes great pride in giving you some of the best coaching in Maine with multiple college coaches, elite high school coaches, and college players on staff to help you grow your game all year. Players within each program will be grouped by age and skill level. We promote a fun and positive learning environment to help you become a better lacrosse player and teammate! – Maineiax does not prorate the cost for a missed practice or for not being able to participate in a full program. 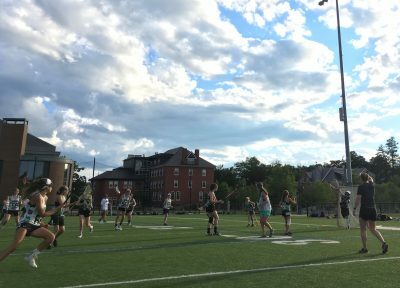 – Maineiax reserves the right to change a program at any point or move players to a different program during the session based on skill level and/or attendance numbers. – US Lacrosse membership is required for all players for insurance and liability purposes, no exceptions. Our Maineiax Lacrosse Training Camp is open to any boys or girls players in grades 5-12th (2019-2020 school year) and is recommended for all Summer Travel players. An all-star coaching staff, facilities, and an unbelievable curriculum will be offered to enhance the players Lacrosse IQ and skills! Each camper will receive individual and group instruction that focuses on building fundamental skills and game knowledge. Training camp will be an overnight team bonding camp (with a day camp option) and is highly recommended for all 2019 Summer Travel Team players. Game, prizes, giveaways, and guest coaches round out the amazing value these camps bring to Maine lacrosse players. All skill levels are welcome! 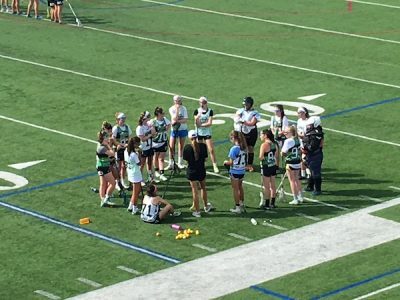 Summer Travel Players: Our Maineiax Training Camp is an important part of the summer travel experience and is recommended for all travel players to focus on our Maineiax curriculum & team bonding activities.